Marketer. Skilled volunteer. Playing with her food. 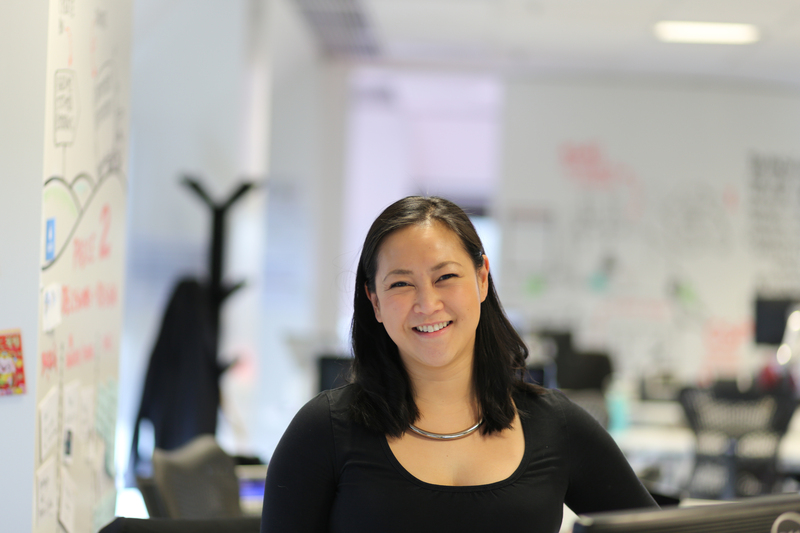 Jeanette Cheah is a marketer for an ASX-listed company by day, and working to raise funds for refugees by night (and sometimes during the day). She is also a driving force behind the Gingerbread Demolition — which is pretty much what it sounds like. What started as a fun Christmas party with some close friends, has now become a sponsored event for good. The original Gingerbread Demolition started simply as a Christmas party for friends, where we had a large, lovingly-decorated gingerbread house as the centrepiece. Each year, the ‘smashing’ of the gingerbread house escalated (I think we still have gingerbread embedding in our ceiling) and the houses got bigger and more lavish. Eventually, the party simply outgrew our apartment, and we thought it was time to take it to the next level! It’s not often you get a chance to act like a big kid, and people really seemed to get excited about the chance to destroy something and be really playful – so it seemed like a great opportunity to take something fun and creative and do something good. 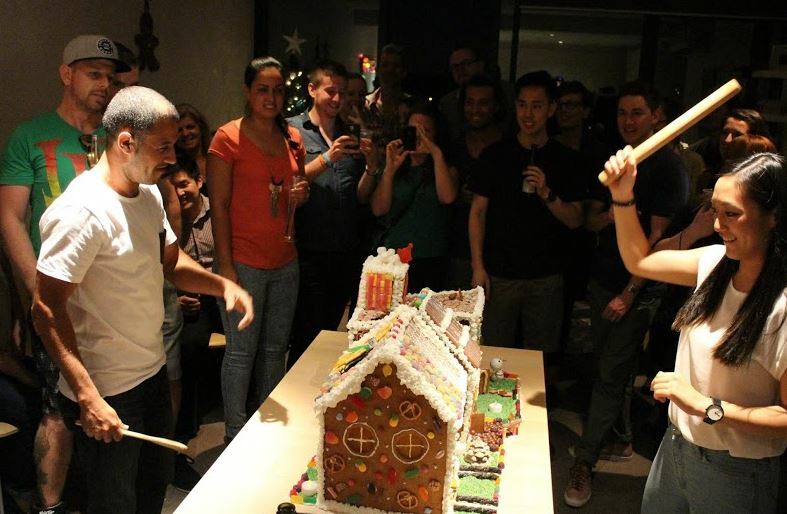 This year’s Gingerbread Demolition event has ‘gone public’ – what is the plan? This year we’re taking the ‘party’ and turning it into a ticketed ‘event’ – all themed around sugar, cheeky humour, and Melbourne’s start-up and food scene. 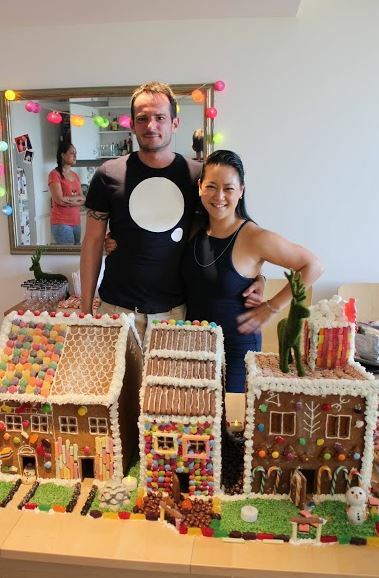 The Gingerbread Demolition will be held on Saturday 12 December at an amazing warehouse venue on Flinders St in the CBD, and have been working hard to secure sponsors for the entertainment, silent and live auctions, as well as for the cause itself. We’ve got some great partners this year, with Uber, Hocking Stewart, Cupcake Central, LuxBite, General Assembly and even Etihad coming on board with some support. I’m really excited about our catering partner as well – Crepes for Change is a social enterprise food truck that helps to empower Melbourne’s homeless youth. What has been the motivation to raise the money for Save the Children? We chose to raise funds for Save the Children Australia, partly due to a connection to a friend who worked for the child rights agency in Nauru, but also because we’re deeply passionate about refugee issues and treating people humanely and with dignity. There are still over 200 children being held in detention in Australia and in Nauru (another 642 in community detention)*, but everyone has a right to be in a safe place with their families – especially children and especially over the holiday period. If we can raise just a little bit of awareness about what is happening to refugee adults and children in the name of ordinary Australians, inspire someone to a small action, and provide some funds to support Save the Children’s work to improve children’s health, education and welfare here and around the world, then I think that’s a worthwhile outcome. everyone has a right to be in a safe place with their families – especially children and especially over the holiday period. 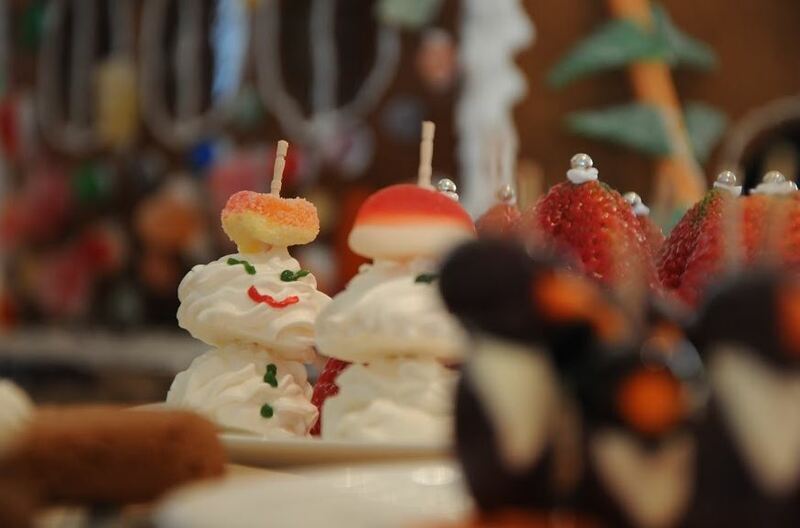 Gingerbread Demolition is something you do on top of a full time job and teaching – have you done a lot of work helping raise money for charity before? Not really, if I’m honest! I have had some fundraising experience back in my uni days, but most of my social contributions in recent years have been either through personal donations or skilled volunteering. I’m not going to sugar coat it (see what I did there?) – it has been challenging to fit in all the planning, negotiations, financials and marketing around the full-time job, but what I’ve found is that my energy reserves for organising the Gingerbread Demolition are a lot deeper than I expected. I’ve also been open with my employer about what I’m doing, and have been fortunate to work somewhere where ‘workplace flexibility’ and support for creative pursuits are realities rather than catchphrases – I hope this becomes more of a trend in corporate Australia. In a way, it is kind of like skilled volunteering – applying what I’ve learned in the business world to something creative, which may have a positive impact on the community. Do you have a favourite memory or story you can share about your work on Gingerbread Demolition so far? It’s a small moment, but after weeks of non-returned phone calls and emails, and feeling like the event was a failure before it even got started, we heard back from Uber and Etihad in a single day – both with a ‘yes’. It was such a rush of relief, and made us feel that this idea really might have legs. Getting these types of events happening is always challenging – what has been the hardest thing about creating a ‘start-up fundraiser’ so to speak? Good question! The hardest thing when you’re trying to build momentum is probably being taken seriously. If people haven’t heard of you before, you’re easy to dismiss, and you need to hustle and be able to deal with rejection. I’m pretty sure the first venue I was dealing with just thought I was a random chick who wanted to have a Christmas party – they didn’t grasp the big picture. I think that’s why I’ve found the start-up, foodie and creative community to be amongst the most supportive – they know what it’s like to have a vision and are genuinely excited for anyone who is starting something from nothing. The hardest thing when you’re trying to build momentum is probably being taken seriously… you need to hustle and be able to deal with rejection. What is the one big goal or dream that you are focused on for Gingerbread Demolition? For example, is it something you ideally would like to see rolled out across the country? Yes! I see the Gingerbread Demolition becoming sort of a love child between the cheeky humour of Movember and the community involvement of Australia’s Biggest Morning Tea. I would also like to have all funds raised dedicated to a specific project to support refugees next year, so we can see a genuine impact. Next year, we’d love to see schools, workplaces, communities and individuals throwing their own Gingerbread Demolition parties all over the country. 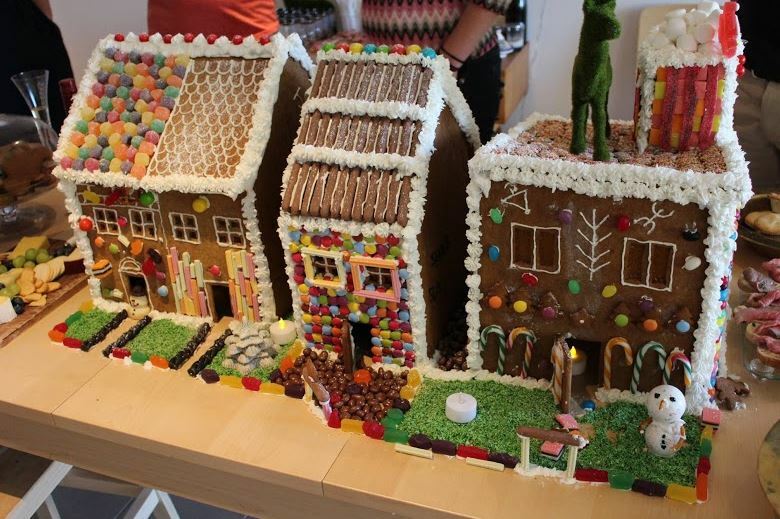 I think the gingerbread house is a nice alternative symbol of the holiday season, and there’s a huge potential to extend the concept to all corners of Australia (The anti-sugar movement may take exception, but I’m sure it’s possible to make sugar-free / cruelty-free gingerbread…). If there was one person you could sit down and talk with about Gingerbread Demolition, who would it be and why? Food has such an amazing way of bringing people together, so I’d want to borrow from Kitchen Cabinet, and combine food with politics! I picture having a meal with Immigration Minister, Peter Dutton, and foodie extraordinaire, Matt Preston, to see if we could inspire some real talk about inclusivity, diversity and kindness. I’d like to challenge Peter Dutton about his plan to speed up the processing of refugees coming to Australia and to increase our intake overall. And I’d love to speak to Matt Preston about how we could use the joy and beauty of food to drive more social action and enterprise in the general public. What single biggest thing you would like people to learn, know or understand about making things like Gingerbread Demolition happen? Whenever you create something new, it’s easy to be shouted down by people who don’t understand, who are unsupportive, or even by your own thoughts. Many times, I questioned what on earth we were doing, and what right we thought we had to try and build a sponsored, ticketed event that no one had ever heard of. I’d like people to know that it doesn’t matter who you are – you don’t have to be ‘someone’ or have any particular qualifications or credentials. If you are inspired to create something and it comes from a place of authenticity, then wear it loud and proud, and dig deep to find the confidence to follow through with your actions. In five words, how does creating Gingerbread Demolition make you feel? Inspired. Driven to do more. For more information about the Gingerbread Demolition, visit the website, or follow ‘The Demolition Crew’ on Twitter at @gingerBREADdemo, stay updated with Facebook or keep an eye on the smashing good times on Instagram.